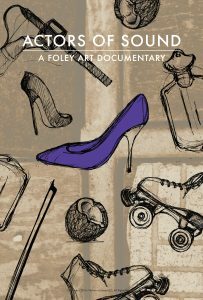 Since the 1930's, sound gurus referred to as Foley artists have recreated the sounds that infuse a film with life. During a film's post-production, Foley artists recreate sounds then will match the moving image on-screen, using whatever objects are at their fingertips, from hundreds of pairs of old shoes to clunky old tools and squeaky mattresses. But how will Hollywood's low-tech sound artists survive as digital technology consumes modern movie making?